What Makes Trekking In Nepal A Blissful Opportunity For The Trek Lovers? Nepal and its magnificence mesmerize everyone. The Himalayan kingdom is a true delight for nature lovers and a paradise for trekkers. Filled with the beauty and bounty of nature and gifted with rare biodiversity, flora and fauna, it is an ideal place to visit. Lying in the lap of Himalayas, Nepal is filled with serene beauty such as magnificent waterfalls, crystal clear lakes, rare species, skyrocketing snow clad mountains, friendly people, exceptional vegetation, beautiful virgin villages and vibrant authentic culture. It is a real delight to have an opportunity of trekking in Nepal. Trekking Mart is a customized trekking tour company established to offer an opportunity to enjoy the beauty of nature and discover the untouched virgin landscape and the rich, vibrant culture undisturbed by the pace of modernity. Trekking Mart provides the trekkers with professional porters to carry their bag pack and make arrangement for accommodation in the locally owned guest houses where the altitude is not more, and the terrain is accessible. On the other end where the landscape and weather are tough and makes the accommodation difficult as you will not find any tea houses also, Trekking Mart provides with more porters to carry the bag pack, accompanied by professional cooks to prepare your food and experts to set your camp. We ensure that the trek is risk-free and the only thing travellers have to bring is a good and sound body. It is the nearest Himalayan destination from the Kathmandu valley filled with the breathtaking natural landscape. The pathway to Langtang valley is filled with lush green vegetation, groves of Rhododendron, crystal clear glacier lakes, splendid waterfalls, bamboo Tibetan people and their unique lifestyle. The ten days trip begins from a few hours’ drives from Kathmandu to Syabribensi. The trail route moves along the Langtang River following the dense forest of Langtang National Park which gradually elevates to Langtang Village (3,430m) and Kyanjin Gompa (3,870m). It is the shortest way to get a glimpse of Mount Everest by walk. The Everest view trekking begins with a flight from Kathmandu to Lukla and enters into UNESCO world natural heritage site Everest National Park. The pathway is filled with pine forests, rhododendron flowers, rare species and abundant green vegetation. At a higher elevation, you will come across sky touching snow-covered mountains, rich flora and fauna, scattered human villages with cultural and religious integrity. One will come across Sherpa people and their way of life. Surrounded by snowy mountain peaks in all directions, the Annapurna Base Camp Trekking makes an excellent hiking trip. The trekking trip is suitable for both the novice and the Mountaineers. Mt. Annapurna being a major attraction, it is a heaven for mountain lovers. The pathway takes you along the Gurung villages, magnificent waterfalls and traditional Nepalese farmland. So when you are planning for trekking in Nepal do not forget to choose Trekking Mart as your tour operator and travel partner since it has the most flexible tailored made itineraries to suit your requirements and professional guides to guide you along the tour. 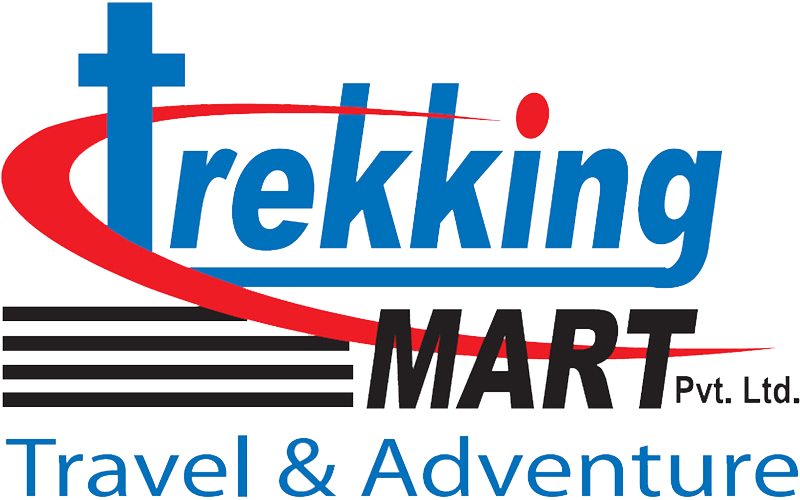 Trekking Mart always ensures it’s every trip is risk-free.